A Xavier University of Louisiana cancer research lab has announced a new treatment for breast cancer, which could reduce the number of women who choose preventional mastectomies and who experience negative side effects with traditional treatment options. 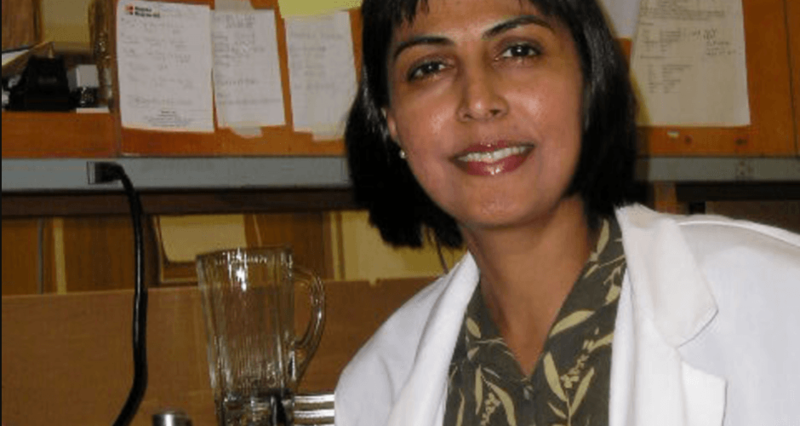 XULA Biology Chair Shubha Ireland is part of a team of Lousiana-based researchers who have developed a “super cocktail” of six plant-based chemicals which can limit effects of the BRCA1 human gene mutation and tumor growth, without damaging healthy cells around treatment areas. According to Dr. Ireland, the treatment is a major step in potential cures for breast, lung and prostate cancers. According to a release, more than 750 women (with and without breast cancer) have used the super cocktail without reporting adverse sid effects. Funding for the project was produced by the Lousiana Cancer Research Consortium and through the Lousiana Board of Regents’ Eminent Scholar professorship program. This entry was posted in Cancer, Cancer Research, Science and tagged BRCA1, cancer, Cancer research.